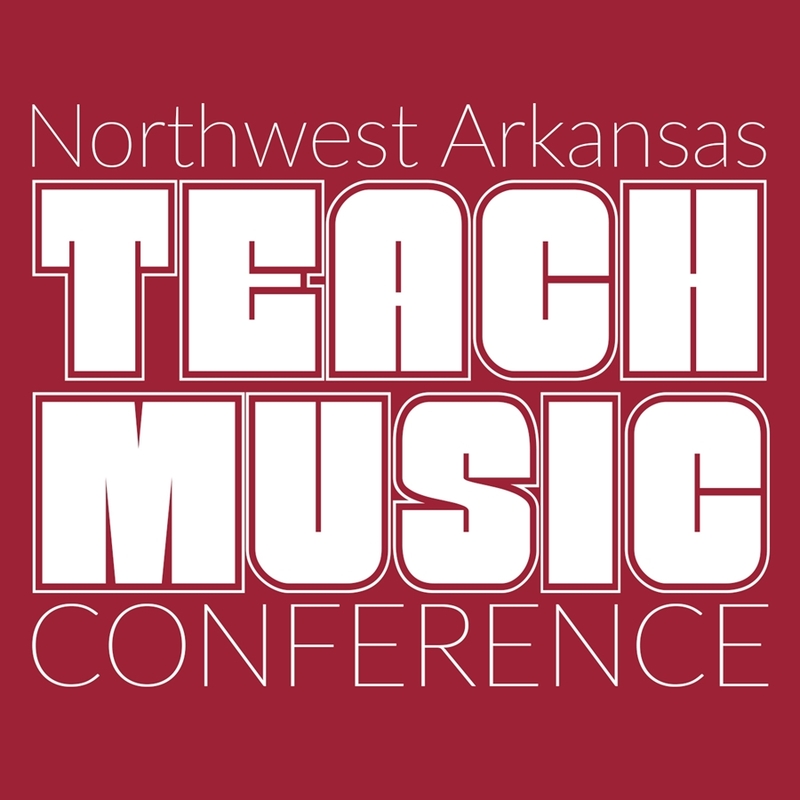 The Department of Music and the UARK Collegiate Chapter of the National Association for Music Education are excited to host the third Northwest Arkansas Teach Music Conference on April 12-13. This event will focus on music education approaches that promote culturally relevant, student-centered and inclusive music education. Daniel Abrahams, assistant professor of music education and organizer of the conference, said, "The conference is intended to provide quality professional development that is musical and create a supportive learning community between in-service music teachers and our pre-service music education majors." The conference begins Friday, April 12, with an evening workshop titled "Pattern Your Way to Performance" by Susan Harvey. She is department chair and associate professor of music education at Midwestern State University. The evening continues with a ukulele jam coordinated by students in the UA music education program. Saturday starts with a workshop called "All Kinds of Kinds" by Alice Hammel, visiting professor of music at the University of Arkansas. Hammel is a known pedagogue in music education and a respected author and advocate for children with special needs. Hammel is the co-author of two texts: Teaching Music to Student with Special Needs: A Label-free Approach and Winding It Back: Teaching to Individuals Differences in Music Classroom and Ensemble Settings. Her residency also coincides with additional talks in the Department of Music as well as a special topics course in music education. UA Music faculty Chris Teal will begin the afternoon sessions with "Jazz Songs, Style, and Improvisation: Learning and Teaching by Ear." He will discuss his curricular method developed for beginning through advanced jazz groups of any size or instrumentation. Teal is an energetic jazz educator who has developed a number of jazz initiatives for youth, adults, and the community of Northwest Arkansas. His ongoing programs, Youth Jazz Workshop and Adult Jazz Workshop, are popular classes with the University of Arkansas Community Music School. The conference will conclude with a session presented by Bryan Powell. He currently serves as director of Higher Education Initiatives for Little Kids Rock, a national nonprofit that is dedicated to building a world where kids can live rich, purposeful lives by ensuring that all public-school children have the opportunity to unlock their inner music makers. He also serves as assistant professor of music education at Montclair State University. He will present "An Introduction to Modern Band." Modern Band teaches kids to perform, improvise, and compose using the popular styles that they know and love including rock, pop, reggae, hip hop, R&B, and other modern styles. It leverages the cultural capital of the children we serve. Modern Band also expands upon existing music programming such as Marching Band, Jazz Band and Chorus, making music available to children who might otherwise not participate in traditional music classes. Speaking about Modern Band, Abrahams said "We are very excited to introduce this transformational method of teaching music to the Northwest Arkansas education community." Participants in the conference are eligible to receive 9 professional development hours from the Arkansas Department of Education. All sessions are free and open to interested attendees, but registration is required. Visit fulbright.uark.edu/teachmusic for more information and details on registration.